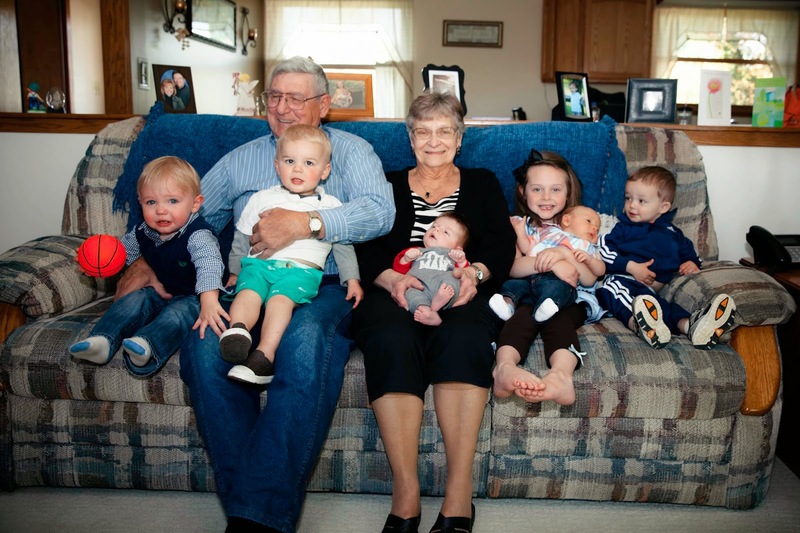 Here are my grandparents with their six great-grandkids. From left to right: Jackson (17 months), Brantley (22 months), Holden (1 month), Abby (5), Dayton (1 month), and Kellen (2). Thanks for the picture, Karen!